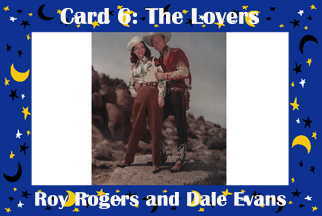 The King and Queen of the cowboys The Lovers of the Major Arcana are innocent and naive. Think Luke and Leia, not Han and Leia (nor Luke and Laura, for that matter). This card means partnership, yin and yang, two halves joining to make a complete whole. Passion would only confuse things.